Wilkhahn recommends a biopic about German designer Dieter Rams. “Simplicity is the key to brilliance”. As longstanding design chief at Braun, professor at the University of Fine Arts Hamburg and president of the German Design Council, Rams hasn’t just made a major impact on German product design, but also much farther away, for example in California, where he followed in Hartmut Esslinger’s footsteps by inspiring Jonathan Ive and his team in designing Apple devices. His Ten Principles for Good Design are the international design elite’s secret 10 commandments and of course apply at Wilkhahn too. Director Gary Hustwit had already met Rams while shooting Objectified in 2008. The film portrayed numerous creatives ranging from the Bouroullec brothers to Rams all the way to Naoto Fukasawa. Another little gem of a film is Helvetica about the font of the same name and Urbanized is all about urban development. The 90-minute Rams film was crowd funded via Kickstarter and is slated to come out this september. The three teasers already convey something of the film’s engrossing nature. For more about Wilkhahn and our design and company philosophy click here. 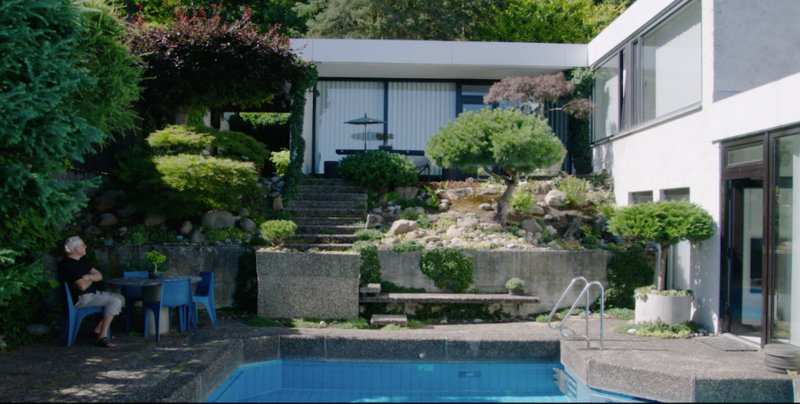 Dieter Rams at the pool in his garden in the Braun Roter Hang development in Kronsberg Taunus. The development was planned by architectural firm Kramer. With its different terraced and split-level houses, luscious greenery and considerate public spaces it’s considered an urban planning triumph of the 1970s. The house was co-planned by architectural company Kramer and Dieter Rams and now has the status of a single listed building within what is now an ensemble that enjoys protection as a historic monument. 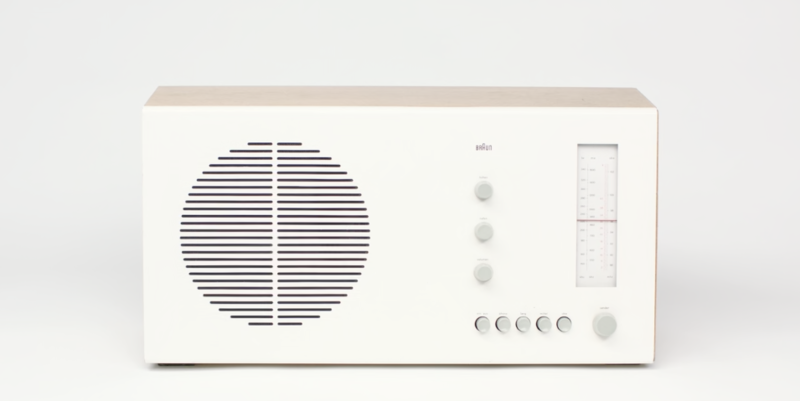 The Braun RT20 tube radio based on a Dieter Rams design. 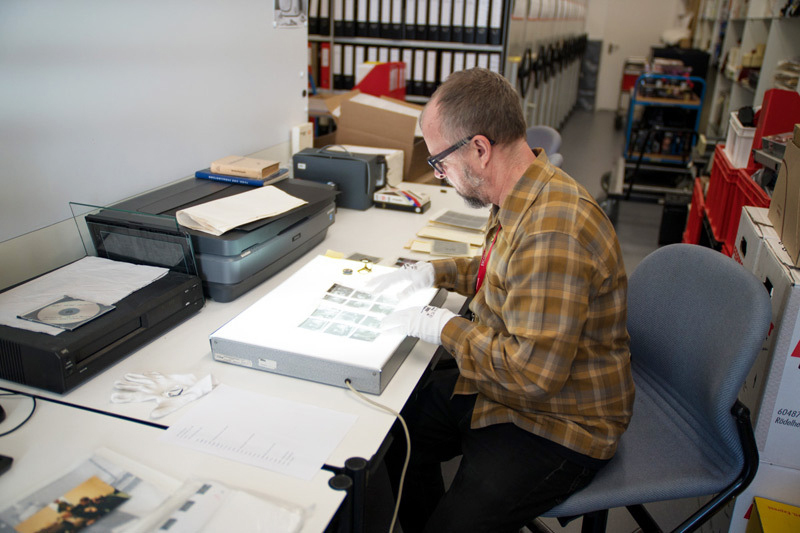 Filmmaker Gary Hustwit is sitting on Wilhahn's classic task chair FS while doing some research for his documentary "Rams" at the Braun archives in Kronberg.